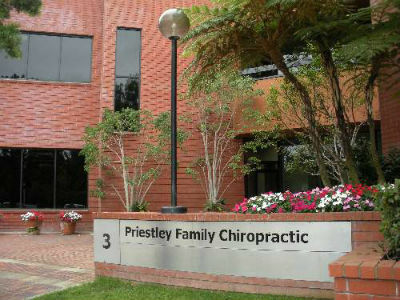 Priestley Family Chiropractic is a lively, energetic place where your entire family will feel at home. When you walk into our office, you’ll see an open area with plenty of seating. Four adjustment tables are available so that you can be seen promptly. Kids enjoy their own play area, and you’ll see our dedicated therapy area with patients completing exercises. We’re ready to help you begin your journey to better health! You’ll find us in the same building as RE/MAX and Taylor Cosmetic and General Dentistry. The paperwork we ask you to fill out can be found online and completed ahead of time. Please bring your insurance card in with you so that we can check any benefits you might have. You’ll receive a warm, friendly greeting from our team, as well as an office tour of our state-of-the-art facility. The primary goal of your first visit is to determine if we are the right place to meet your needs. We’ll complete a consultation to review your current health status, then do a chiropractic evaluation with the advanced Millennium Subluxation Station, which measures the function of your nervous system. It is certified by the Space Foundation and used by NASA for the astronauts. Elite athletes such as Joe Montana (three-time Superbowl MVP) and Dan O’Brien (Olympic gold medalist) also utilize this advanced equipment. 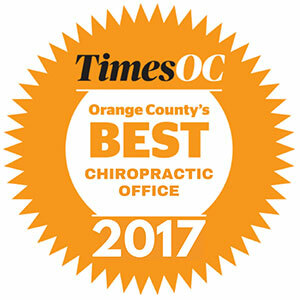 The testing is completely painless, noninvasive, takes just 10 minutes and it renders a computerized report that measures the efficiency of your spinal nerves. You may also receive digital X-rays if your chiropractor determines they are necessary. Your first visit will be completed in 45 minutes. You’ll be scheduled back for a second visit, giving your chiropractor time to analyze your findings. This appointment begins in a group setting with other new patients, where Dr. Priestley discusses chiropractic topics such as subluxations, or misalignments in the spine. We welcome you to bring a spouse, family member or friend with you to support you on this visit, as you will receive a wealth of information and learn a great deal about your current health status. Then, your chiropractor will see you privately to go over your individual examination findings. If we’ve determined that we are the right place for you, we’ll discuss a program of care that is appropriate to achieve your goals. You’ll understand what is wrong, why it is wrong and what it will take to alleviate your problems. Costs will be discussed, as well as different options for care. You’ll receive your first adjustment and be on your way in about an hour. You’ll sign in at the front desk when you arrive, then relax until you’re called to an adjusting table. You’re here to unwind and heal, and we make sure that everything else is taken care of. Your chiropractor will give you an adjustment and any advice or at-home instruction. It’s as easy as that, and you’ll be on your way in about 15 minutes. You’ll receive plenty of information about your health and chiropractic on your first two visits, and the televisions in our office supply you with even more knowledge. To further guide you to better health, we welcome you to attend a new patient workshop held on the first and third Tuesday at 6:15 p.m. of every month. Find out what we can do for you. Schedule your time with our accommodating, helpful team today.